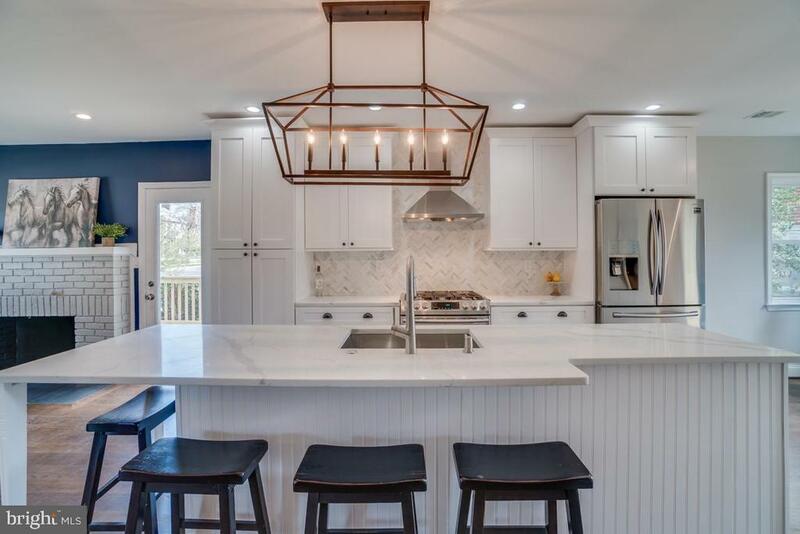 MODERN LUXURY AT ITS FINEST IN THIS 4 BEDROOM, 4 BATHROOM COMPLETELY REHABBED TAKOMA SINGLE FAMILY. EXPANSIVE OPEN CONCEPT MAIN LEVEL. GOURMET CHEFS KITCHEN w/ QUARTZ COUTERTOPS, MARBLE BACKSPLASH, DRAMATIC 10.5 FOOT ISLAND, WHITE SHAKER STYLE CABINETS, SAMSUNG STAINLESS STEEL APPLIANCES w/ GAS RANGE, VENT HOOD. 5" OAK HARDWOOD FLOORS. MAIN LEVEL BEDROOM AND BATHROOM. TWO DECKS EXTEND THE ENTERTAINING SPACE TO THE OUTDOORS. MASTER ENSUITE w/ MASTER BATH AND WALK-CLOSET. LOWER LEVEL FEATURES FAMILY ROOM, WETBAR, BEDROOM & FULL BATH. REAR PATIO. REAR PARKING PAD AND HUGE YARD. EXPERIENCE THE DIFFERENCE QUALITY MAKES. THIS IS NOT YOUR TYPICAL RENOVATION. NEW FRAMING, ELECTRICAL, PLUMBING, HVAC, NEWER ROOF.